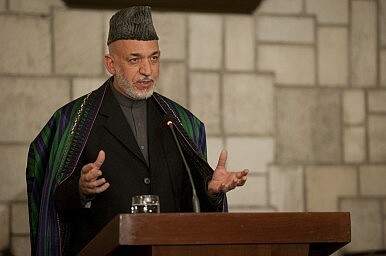 Afghanistan is set to top the agenda at the NATO summit in Chicago this week. Is commitment wavering? As members of the International Security Assistance Force (ISAF) assemble for an important meeting this weekend over future strategy in Afghanistan, the Obama administration is doing everything possible to persuade its European allies that a hefty financial contribution to the Afghan National Security Forces is necessary if Afghanistan is to become a stable country. The summit, to take place in Chicago, is just as much about NATO’s ultimate war strategy against the Taliban-led insurgency as it is about solidifying Western support for the Afghan Government after 2014, when the majority of U.S. and NATO soldiers end their mission and depart the country. Indeed, with the Afghan army and police now close to being responsible for the security of 75 percent of the nation’s population, Washington’s ability to garner significant aid packages at the conference has taken on far greater importance. Unfortunately, the United States has its work cut out. As The New York Times has reported this week, European governments are unsure of how much money they are willing to give to the Afghan government over the next 10 years. Pressured by domestic constituencies who have long soured on the war, and a debt crisis that continues to rile the politics of the continent, countries that were once thought likely to offer a generous monetary contribution to the Afghans are now scrambling to assess whether they can afford to do so. With the exception of Britain, the vast majority of European officials have become somewhat detached from a war that grinds on after a decade in the making. In the eyes of the Europeans, the Iranian nuclear crisis, Syria’s evolving civil war and Libya’s post-conflict reconstruction are far more vital to their foreign policy and national security interests than a land war in the middle of Asia whose main premise – battling and defeating al-Qaeda – has largely been accomplished. The United States is thus in an awkward position. Leaving Afghanistan in a state of at least partial stability – with a government able to keep the Taliban from retaking major population centers, and preventing a possible al-Qaeda return – remains the hope that the White House is trying to make a reality. Yet this only has any hope of being realized if the international community is willing to pump a steady and consistent amount of resources into Afghanistan’s coffers after NATO is gone. Washington’s pitch is made even more difficult by what is now its most primary mission in Afghanistan: building up an indigenous Afghan security force that’s dynamic and professional enough to continue what NATO has started. The counterinsurgency strategy that dominated NATO’s approach to the war in 2009 and 2010 – pouring soldiers into villages across the country to both clear neighborhoods and protect the population from insurgent groups – is no longer as crucial to the war strategy as developing the Afghan National Army and police into a force capable on the ground and trusted by the people. Quantitatively, NATO is quickly reaching its goal of training and deploying 352,000 Afghans to perform two main tasks: continuing offensive operations against the Taliban and its militant allies in addition to safeguarding areas that are already cleared. The quality of some of those forces, however, remains an issue, and one that won’t be resolved without an adequate amount of money needed for additional training, vetting and equipment. With the original plan for sustaining a force of 352,000 Afghan soldiers and police past 2014 under debate, the final total will depend on how much commitment European donors are willing to expend. Without that commitment, the viability of Washington’s blueprint for post-2014 Afghanistan could be watered down to an even less ambitious project. Daniel R. DePetris is the Senior Associate Editor of the Journal on Terrorism and Security Analysis. The strategic partnership agreement between the U.S. and Afghanistan was useful, but leaves many questions.